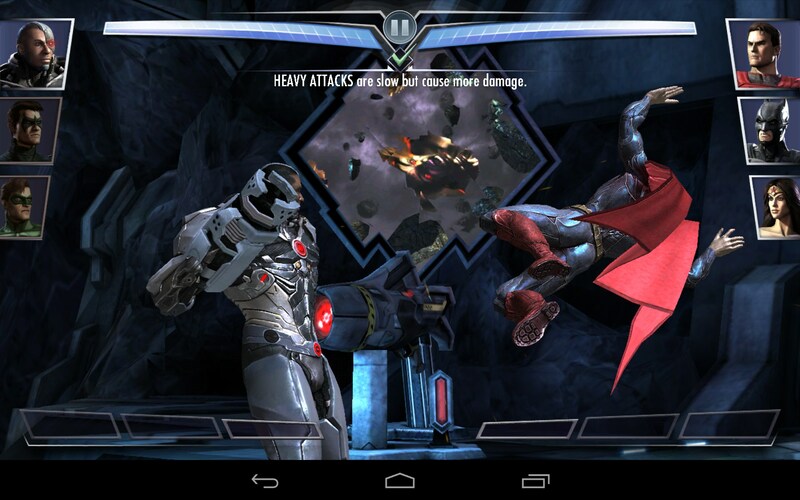 Injustice: Gods Among Us – Games for Android 2018 – Free download. 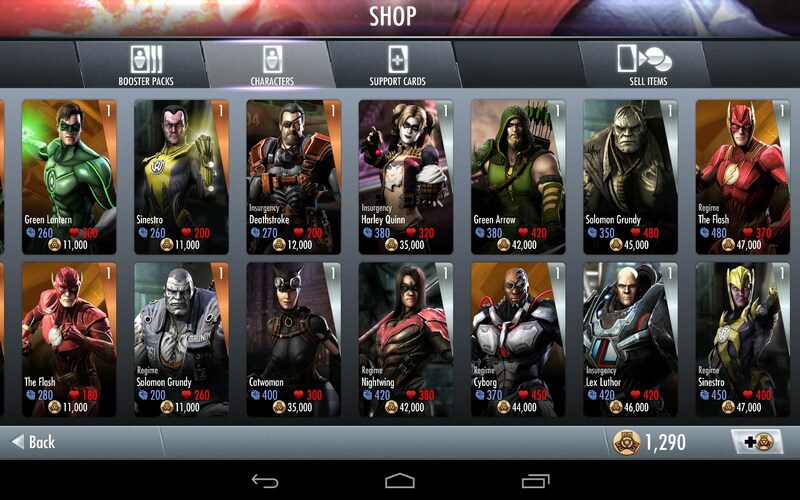 Injustice: Gods Among Us – Fight Club for Superheroes. 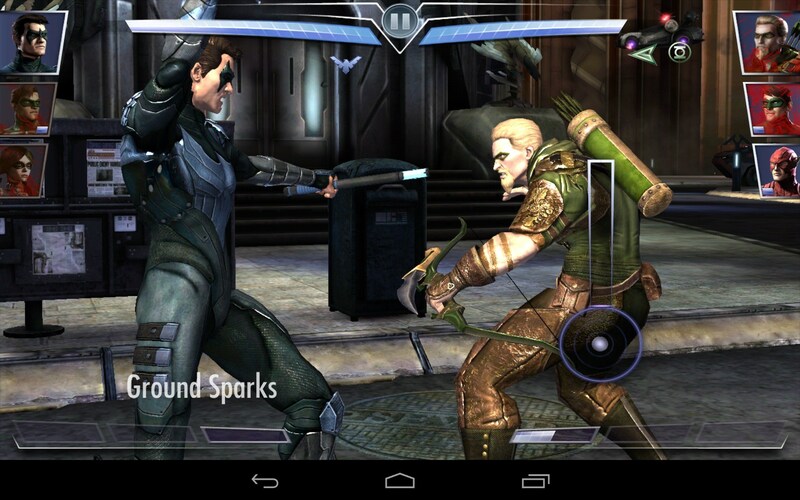 Injustice: Gods Among Us for Android is an intense hand to hand combat game against your favorite DC Comics superheroes. 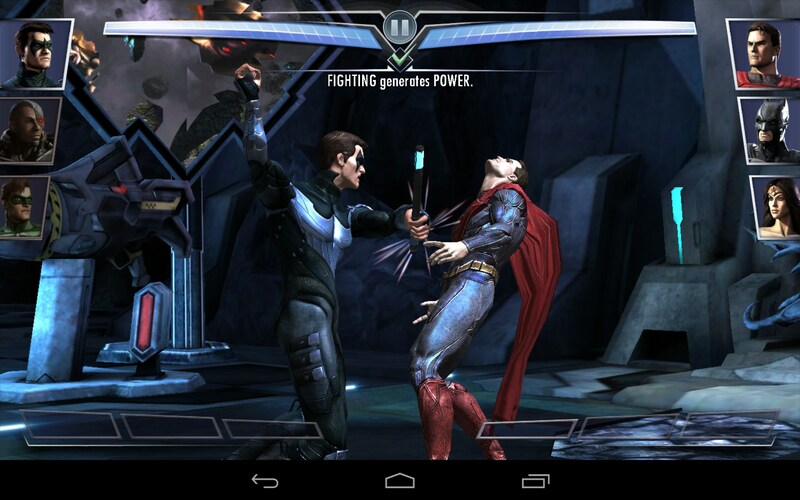 Injustice: Gods Among Us pits superhero against superhero in this action packed, beat the crap outta each other fight club. Imagine, if you will, that the Justice League has a deep dark secret; deep within headquarters, after hours, when there's no crime to be fighting, all the heroes gather for some hand to hand combat training in the basement. 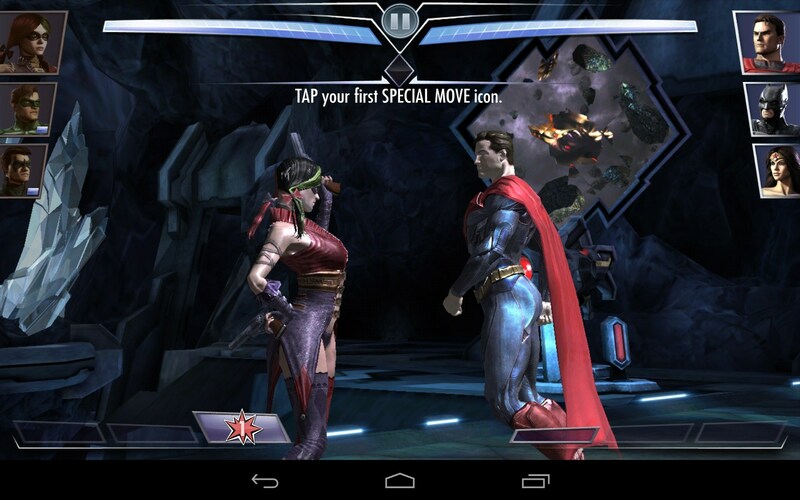 It's Superman, Batman and Wonder Woman against your team of 3 heroes. So the age old question of who could beat the crap outta who is put to the test in this one. Last team of 3 standing, wins. The controls are pretty good but very challenging. 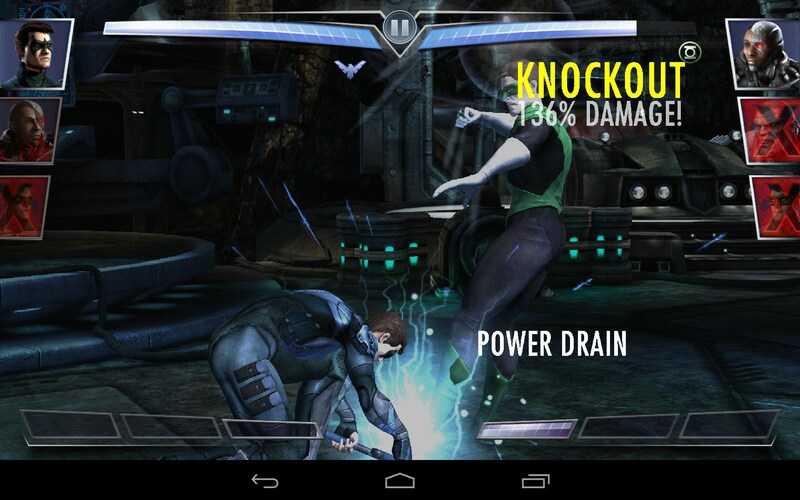 Just tap and poke your screen to attack, or swipe left and right to unleash powerful combos. There's a power meter on the bottom of the screen and you want to keep an eye on that for special powers and attack abilities that are activated during play. It's actually pretty hard to get all of your swipes and taps to register, and I was beating the crap outta my screen just as much as the superheroes. I think the controls need more refinement, but it's hard not to like this game. The graphics are excellent; very vibrant, with lots of details and slow-motion effects which add to the overall intensity. The sounds are good and the music successfully creates tension and angst. Injustice: Gods Among Us gives every little boy and girl, no matter the age, an opportunity to bash heads and go toe to toe with some of the most iconic superheroes ever assembled. The game isn't perfect, but it is fun. It'll kill your battery faster than a speeding bullet too. 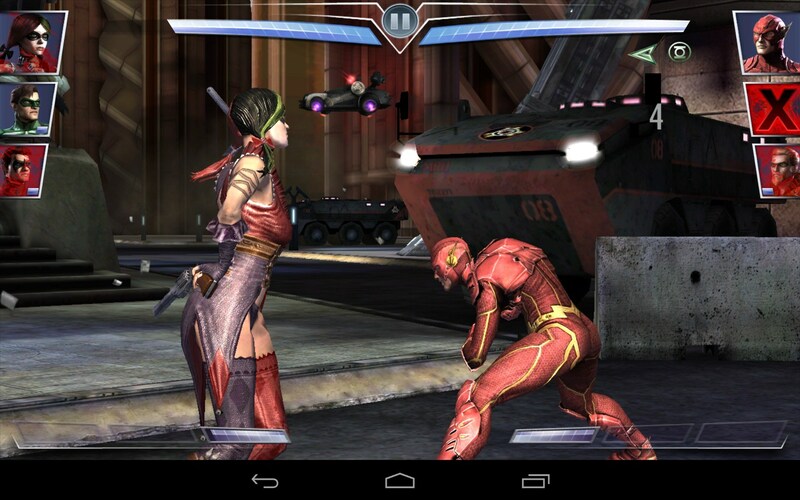 can i play on my tablet iball 3gQ45..? i already download de game file & installed, but de game suddenly closed when de 2nd & final loading screen appears for de game...! Is that mean my device is not compatible for this game or problem with game file...? pls help...!!! 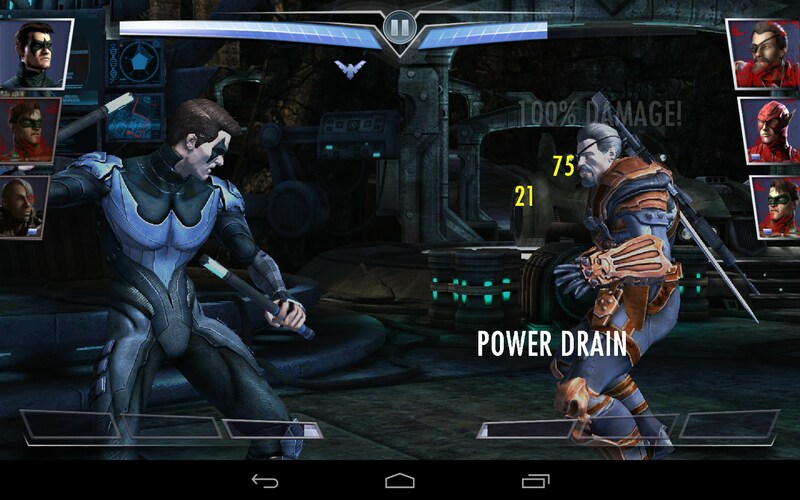 It's definitely one of the best mobile fighting games out there. have you tried restarting your device, just to clear up the memory a bit? As long as Google Play does not indicate any incompatibilities when installing the app then it should be compatible. My advice is to uninstall the app, restart your device and then attempt to reinstall it. Love this game. It does drain your battery though. I play it on my Xperia Z2 and it's got a lot of the features from the bigger PS3 version, but it's good value if you don't like buying in games as you still get lots of gameplay. I also think very highly of this game. The battery draining part is due to the high graphical and processing requirements. its not working with my samsung galaxy tablet any ideas? What is the exact device model and OS version you are using? 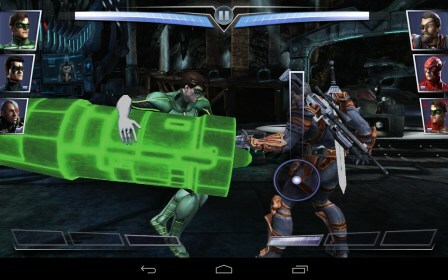 is it compatible with android 4.1.1? Yes, it should be compatible with 4.1.1, however it may depend on your device if the game is compatible or not. I'm afraid I am not sure what the issue is. Other than making sure your device is running the latest available version of Android available there is not really much you can do. Does Google Play indicate anything else as to why it's incompatible. It may be possible due to the low specifications on your device; however let's go through the steps anyway. Firstly, please check compatibility by tapping on the "Free Version" link found above the review, logging in with the same Google Account on both your PC and you mobile device and attempting to install the app remotely from your PC. Google Play should indicate any incompatibilities. If it is incompatible then I'm afraid there is not much you can do about it; however if it is compatible please try to download and install the app and let me know if any error messages come up, or any abnormal behavior. how do i donw load it in my LG L7???? The download link is provided above the review, in the form of the "Free Version" link. If you are attempting to install remotely from your PC then please make sure you are logged in with the same Google account on both your PC and your mobile device before attempting this. Alternatively you can scan or input the QR code, also provided above the review, into your mobile device and it will redirect you to the download page. How do we fix issues on Samsung GT-S7562 Galaxy S Duos unable to install due disk space issues but still have more external SD? Unless you have specifically changed the default installation then apps will automatically install to your internal storage and only afterwards can be moved to the SD card. Please try freeing up some space on your internal storage before attempting to install the app once more. Please always mention your device model and OS version when requesting assistance. Now on to the issue: is there any error message displayed? Does the crash occur at the exact same spot in the gameplay? What exactly are you doing when the crash occurs? In the meantime what i can suggest is that you uninstall the app, reboot your device and then install it again to see if that fixes the crash. The app store says it isn't compatible with my HTC one mini?? I have the same problem, my phone is fully updated but the game doesn't appear in the Google store or let me download it anywhere else????? James are you using the same device as That Guy, the HTC One Mini? If so, the best way to check compatibility is to open the "Free Version" link on your device on your PC, while being logged in with the same Google Account on both your PC and your Android device. When attempting to install from your PC a pop-up window will appear indicating what device you wish to install to and which of these are compatible. Don't loose hope, compatibility may be added in a future version. i cant update it on my samsung galaxy tab 2.. why? What exactly do you mean? Is there an issue when you attempt to update to a newer version? my hp slate 7 says its not compatible..why?? Unfortunately the only thing you can do is to keep an eye on the game as compatibility may be added in a future version that includes your device. Please try updating to the newest version and keeping the app on your internal storage rather than an SD card. It is possible that your memory card may be corrupted which causes issues with the app saving or accessing its data.